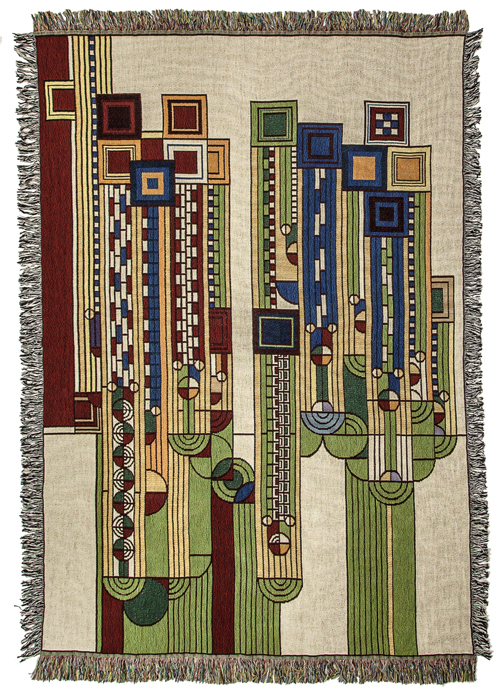 Frank Lloyd Wright throw blanket was inspired by Saguaro Forms. Liberty Magazine Cover Never Published (1927) 100% Cotton Machine wash, tumble dry. Approx. Size: 50"x70" Made in the USA.